Shop fronts are increasingly getting popular not only among businesses but in the domestic area also. Shop fronts, no doubt are the most important one of any shop, as it displays the variety of products that the shop is proffering. Despite better products and services, every retailer wants to betray there shop in a better way. So, ultimately they prefer to install beautiful as well as durable shop fronts for their shop. 1. Fire protection – Roller shutter installation layers are good enough to save your house from the fire incident. It avoids the impending entrances for a fire to access your shop. 2. Protection from heat – These roller shutters are made up of high-quality materials, that help in entering of the fire and the heat generated through it into your shop. These shutters can guard your windows easily from heat energy and avoid their breaking. 3. Security and Protection – The foremost benefit of installing these roller shutters is the security and protection they provide. These rollers are installed nears doors and windows for 360-degree protection. 4. Insulation – These roller shutters offer complete protection from the radiant energy and prevent the entry of cold or heat inside the shop. These shutters are also great sound insulators through which your shop can also be kept soundproof and energy efficient. 5. 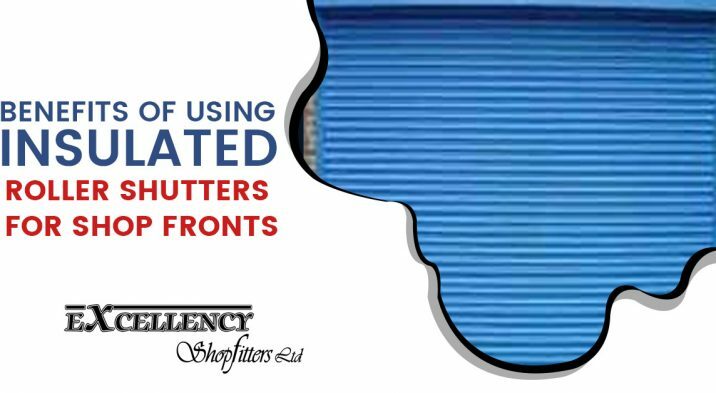 Weather conditions – These shutters are beneficial for any weather conditions and protect the wind or storm entering the shop. 6. Value of money – Installing these supreme quality roller shutters is a great idea. It adds value to your money by protecting your shop from any condition.